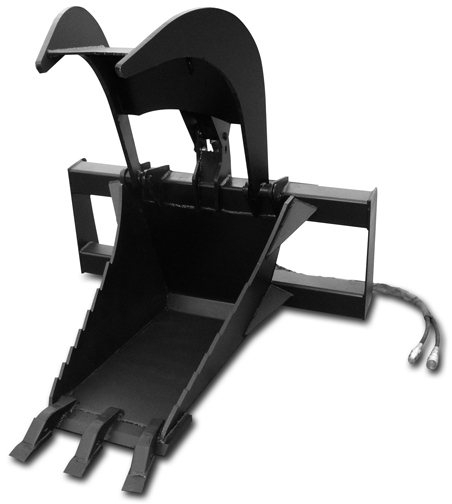 Our X-treme Skid Steer Stump Grapple is made from ½” top quality plate and features a 1” cutting edge, replaceable teeth and a 3/8” hose. Not only are you able to dig out stumps rocks, and other material, you are able to carry them away afterwards. No need to have another attachment for loading the stump into your dump truck, or moving the stump to a burn pile. Made from 1/2" top quality plate. 3" x 3/8" wear bars.